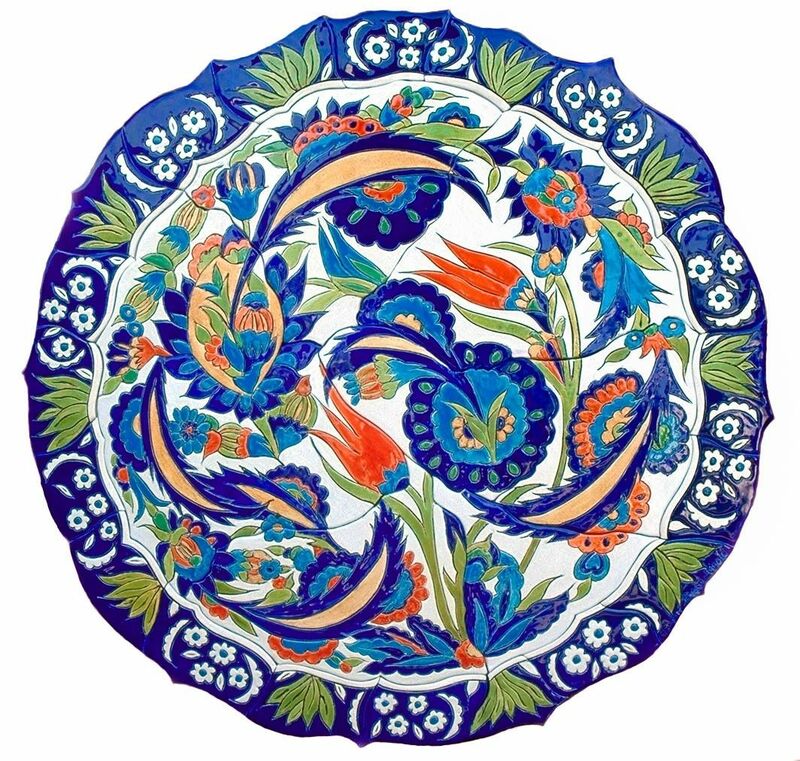 This Turkish mandala design inspired by a 15th -17th century platter in the British Museum. It is over 36" in diameter with a free-form edge. Originally intended as a wall hanging, the client decided to mount under glass and use it as a table top.